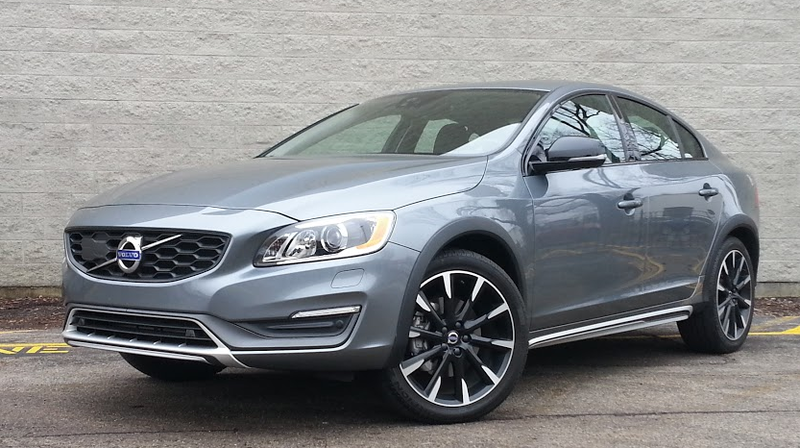 Volvo’s midsize S60 sedan adds a “raised” version for 2016. Carrying the make’s long-standing Cross Country moniker, it comes with all-wheel drive and a turbocharged 5-cylinder engine at its starting price of $44,440 with destination. For 2016, Volvo is using its S60 sedan as the basis for a vehicle that sounds somewhat like the classic definition of a crossover. It’s got a car platform, with the ease of use that implies, combined with features like raised ride height, all-wheel drive, and hill-descent control that promise a modicum of sport-utility-vehicle capability on occasions when that would be helpful. The Cross Country’s added ride height not only affords more ground clearance in snow, but it also improves driver visibility over traffic. An added benefit is that it can make entry and exit easier due to a raised seat height and door opening. Usually, crossovers are wagon-type vehicles, and Volvo has built some in the past with the Cross Country name. 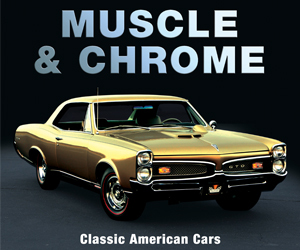 Here, though, the Cross Country label is newly being applied to a premium midsize sedan. 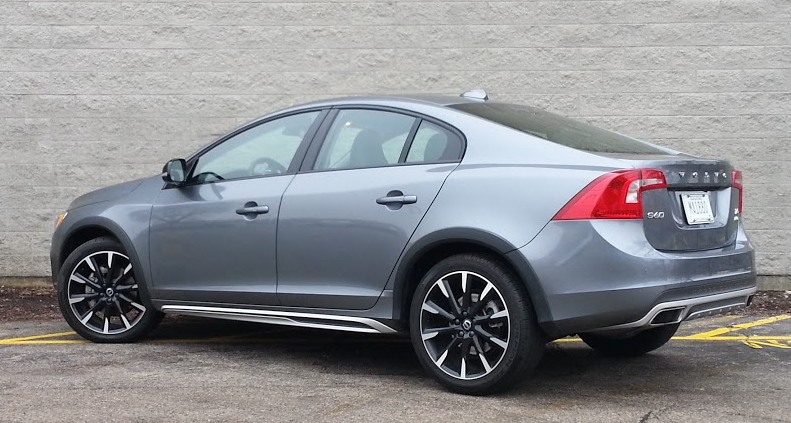 The S60 Cross Country T5 starts at $43,500. 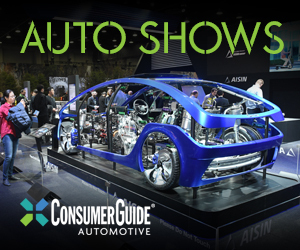 In addition to the driveline and chassis features mentioned above, it comes with a 2.5-liter turbocharged 250-horsepower 5-cylinder engine and 6-speed automatic transmission. Other standard features include 3D navigation, 3G Wi-Fi hotspot with built-in apps (such as Yelp and Pandora), 7-inch in-dash color monitor, power driver’s seat with memory, 60/40 split-folding rear seat, adaptive cruise control, upgraded leather upholstery, Harman Kardon audio system, power moonroof, dual-zone electronic climate control, and more. Key built-in safety features include a rearview camera, rear obstacle detection, forward-collision warning and mitigation, lane-departure warning, and Volvo On Call that provides roadside assistance plus remote starting and door unlocking through your cell phone. Ease of entry and exit. A fine powerteam. The test car got away from stops eagerly and cruised quietly with good reserve power on the expressway; the transmission worked smoothly and kicked down quickly. Fairly quiet ride that’s a little firm but not annoyingly so. Responsive handling and sure braking. Touches of wood and brushed metal brighten what is otherwise a rather subdued but nicely trimmed interior. 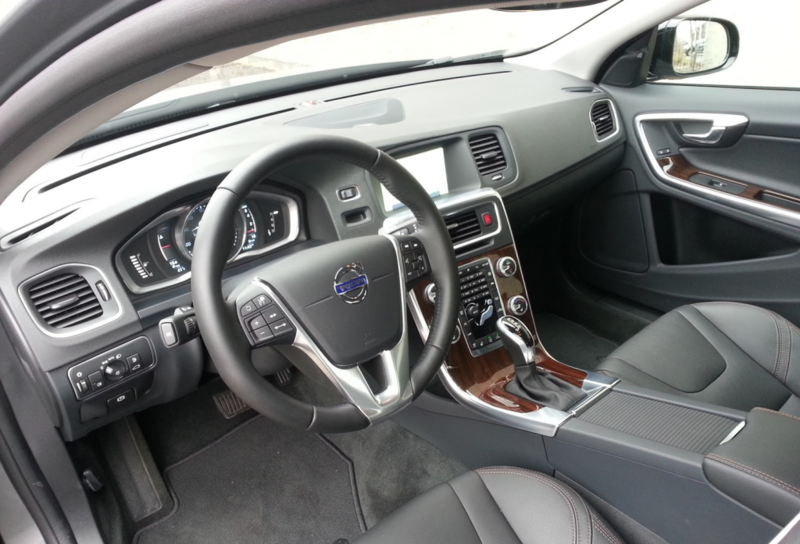 As opposed to some newer Volvo designs — in which a large touchscreen absorbs most infotainment and climate controls — the S60 retains the “old” layout that’s dominated by gen-u-ine buttons and knobs. Cramped rear-seat leg room, and head room that isn’t as good as in front. Ease of use of controls. For instance, it takes a little more work than it should to find and save radio stations; the trip-odometer reset is a game of hide-and-seek through scrolling menus. Trunk space. A strange cargo arrangement has a high center floor with big drop-offs to the sides of this platform, and a drop-off to the folded rear seats. Overall, cargo space isn’t all that generous. Fuel mileage. After a 107-mile trip, 70 percent of it in city-type driving, this tester recorded just 19.9 mpg, which was just shy of the S60 Cross Country’s EPA rating of 20 mpg for city driving. CG’s test Volvo turned out to be nicely equipped, albeit at some extra cost. There was a $1550 Climate Package (heated seats, heated washer nozzles, heated steering wheel, heated windshield, and interior air filter), and a $925 Blind Spot Information System Package (blind-spot alert, cross-traffic alert, parking assist, and lane-change-merge aid). With stand-alone options (speed-sensitive steering, wood interior inlays, and 19-inch wheels) and delivery, it topped out at $48,390. For its SUV-like qualities, the S60 Cross Country is unlike most any sedan on the market, and that might be a lure to certain buyers. But as a midsize luxury sedan (note that Volvo considers it more akin to a compact), its shortages of rear-passenger and cargo space leave it at a disadvantage. Written by: The Daily Drive staff on January 6, 2016.on January 22, 2018.